Make It Handmade: 2 Big Announcements... and a Giveaway! 2 Big Announcements... and a Giveaway! Firstly... I've been working on a brand new frugal sewing site called Sewistry.com. It's finally ready, and I'm so, so glad to finally share it with you all! Sewistry is all about sewing on the cheap! I'm a total cheapskate ahem... frugalista; and I love a good deal on fabric and sewing things for free! Right now on Sewistry, we feature 2 frugal sewing projects each weekday and have an entire section devoted to projects that cost 10 dollars or less to sew. Later this year, we'll also be adding fun features like reviews, buying guides and sale and coupon alerts. Basically, if it's about sewing and saves you money you'll see it on Sewistry. I'll have more information and details about how you can get involved later this month. I've poured so much love into Sewistry, and I truly hope you all enjoy it as much as I do. If you do, subscribe to Sewistry using Feedly, Bloglovin, RSS or email! In other news... I'm very proud to announce Make It Handmade's first sponsor! 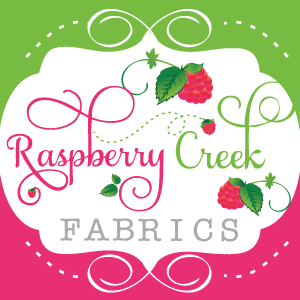 They have an incredible fabric selection which includes fabric from all the major quilt fabric designers, as well as a huge selection of minky and other specialty fabrics. But... that's not why I buy from them. 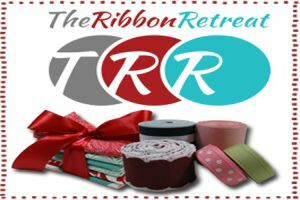 I've been reading sewing blogs for years, and The Ribbon Retreat was one of the small businesses that I saw really go out of their way to support the sewing bloggers that I learned so much from. They've built up a wonderful community on the Ribbon Retreat blog, which has given new bloggers (like me) a head start. Right now they are running a fun boy series on their blog! I'm so proud to support them, because they've been supporting this community for so long. The giveaway starts now and will end next Wenesday Night. I'll announce the winner here at the blog next Thursday! I hope you all have an absolutely wonderful day! Tomorrow we'll be back here with a brand new Handmade Confession by Elisa from Charming Doodle!